Our parents’ generation treated the approach of an employee’s retirement day with dignity and solemnity. When a long-time employee retired, he was honored with a gold watch and a hearty handshake. He would punch his last time card, dodder home and fade into the sunset. Cards given in those days emphasized an ending to a long and respected career. They would not be congratulatory in a sense of someone finally having time to relax and enjoy themselves, but rather an almost melancholy acknowledgment that the person’s years of usefulness and loyal service unfortunately were at an end. Luckily for boomer retirees, we have left behind the notion of retirement as a dreary endpoint. Celebrate! In the twenty-first century, people may retire and leave a company’s payroll, but it doesn’t always mean they are abandoning the workforce for good. Rocking chairs on a porch do not figure prominently in the average baby boomer’s mental image of retirement. Rather, boomer retirees have time and energy to dream and scheme their way to realizing new possibilities for themselves and their loved ones. The financial imperative of having to stretch retirement savings dollars will spur many boomers to find creative ways to secure the kind of retirement lifestyle they want to have. Many of us have a fairly good idea of the types of hobbies or avocations we would like to pursue once we retire. Unlike prior generations of workers who worked long hours and did not have much time or opportunity for anything else except work during their working careers, boomers pursue satisfying careers and also have the opportunity to develop interests outside of work. 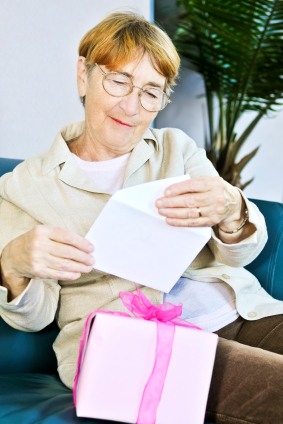 When the big R-Day rolls around, the retirement card we give our friends should be celebratory, reminding them that the world is wide and that they now have the luxury of examining many different options for their golden years. With the advent of easy to use publishing software, with a little time and creativity you can create distinctive retirement cards for your friends and family. Retirement Card Themes: Get Creative! Using inexpensive publishing software available in any office supply store you can create interesting booklet-style retirement cards. It’s a good idea to make extra copies of the card in case any of the retirement party guests want to take one home. Adding a “Keep in Touch” blank page or two at the back of the card allows party guests signing the card to add their names and home emails. Back to the Future Scrapbook – Build a “Back to the Future scrapbook” with the retiree’s Photoshopped head in pictures showing them doing the kinds of things they have said they always have wanted to do once they retired. You can throw in a few pictures for comic effect, like putting the retiree’s face inside a astronaut suit or superimposed over the face of their favorite rock star playing in concert. True Confessions – Make a faux lurid cover with the retiree’s smiling face on it. The pages can contain spoofed ads for brands of certain items that the retiree is especially likes (or hates). There can be satirical interviews or news items and commentary by the employees of some of their best memories of their years with the retiree in and out of the office. Office Newsletter – A takeoff on the company’s newsletter can be wickedly funny as well as a glowing tribute, as long as every single person in the company is in agreement as to the content and tone. A funny feature could be a Employee Wanted ad, listing all of the retiree’s best qualities as a friend and co-worker and making it clear that the company will never find someone quite like them. Weekend Warrior – For a sports enthusiast you can create a Winner’s Certificate showing him or her as the company’s No. 1 Champion and Team Captain Emeritus. Office Beautiful – If the retiree is a home improvement enthusiast, create a card showing a picture of the retiree’s office that has a superimposed castle or chateau on top of it. Green Thumb – Create a card that looks like a big seed packet with ingredients for a perfect retirement: time, sunshine, fresh water and lots of friendly faces. A Summer Place – If the retiree has already picked out a retirement destination in a resort or beach area, make a large “Wish You Were Here” postcard showing a beautiful color photo of the location on one side and a message on the other side with a signature line for the retiree to sign that invites everyone to come and visit. For added comic effect have a notary standing by to certify the signature. That Was the Year That Was – If the retiree worked for the company for many years, create a card that encapsulates the year they first began work at the company, including pictures of other company employees during that era, and pictures from local newspapers and magazines during that period. It’s easy to create a very thoughtful retirement card. And with easily accessible desktop technology, it’s also easy to personalize the card and make it something your retiree will cherish.